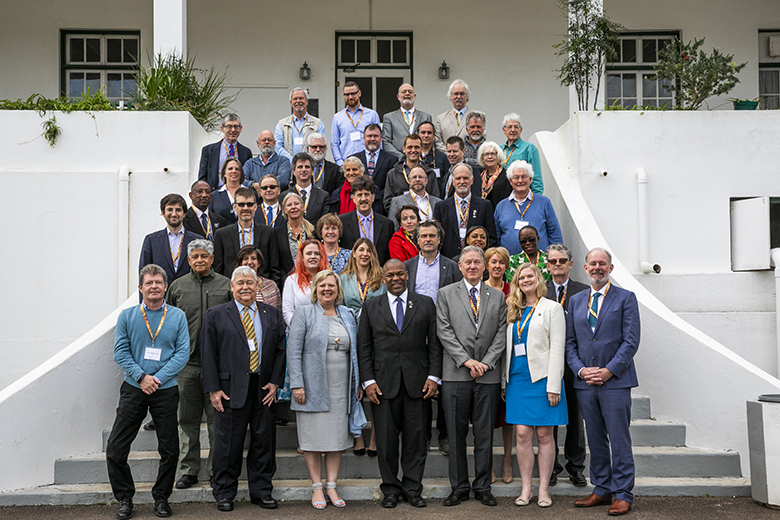 A workshop and Fourth Joint Meeting of the Sargasso Sea Commission and Hamilton Declaration Signatories took place at the Bermuda Institute for Ocean Sciences, St George’s, Bermuda from 13 to 15 March 2019. With financial support from DFO Canada, the workshop provided a chance to recall significant progress made by the Sargasso Sea Commission examining in detail scientific developments, ecosystem approach to fisheries habitat conservation, and monitoring the marine environment and human impacts. Policy aspects covered included a chance to review conservation of vital spawning habitat, collaboration on human impacts, and possible future governance frameworks. A field excursion to Nonsuch Island Nature Reserve gave participants a chance to appreciate conservation efforts for endangered seabirds. The Sargasso Sea lies entirely outside national jurisdiction and represents an important case-study for future efforts to secure World Heritage status in ABNJ, and an example of where the International Legally Binding Instrument for the conservation and sustainable use of biodiversity beyond national jurisdiction (currently the subject of negotiation) will be influential. For more information on the options explored during the workshop, see here.